Venture with us into crocheted garments! 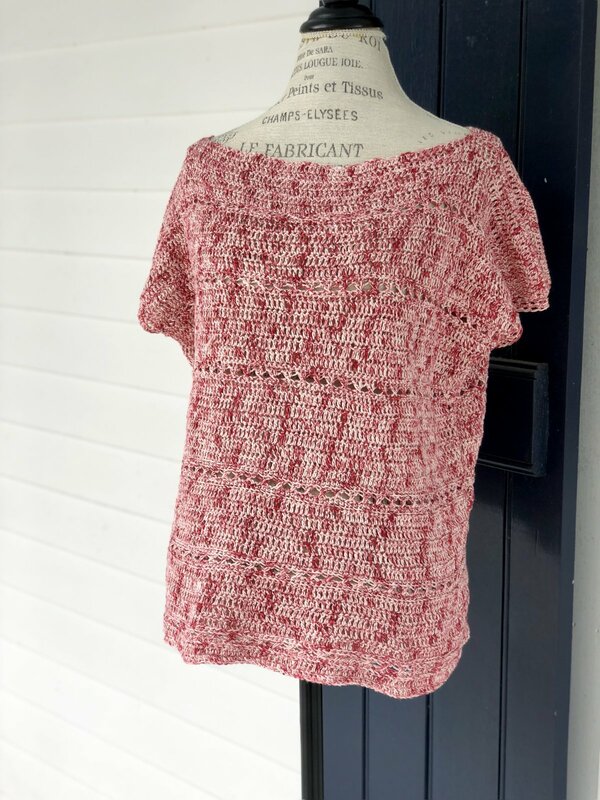 This top is a quick, fun new way to use your crocheterly skills towards something you can wear. You'll learn new stitch patterns, how to seam, and much more. And, in this gorgeous mercerized cotton, you'll be able to style it with jeans or linen pants.